Saturday morning... 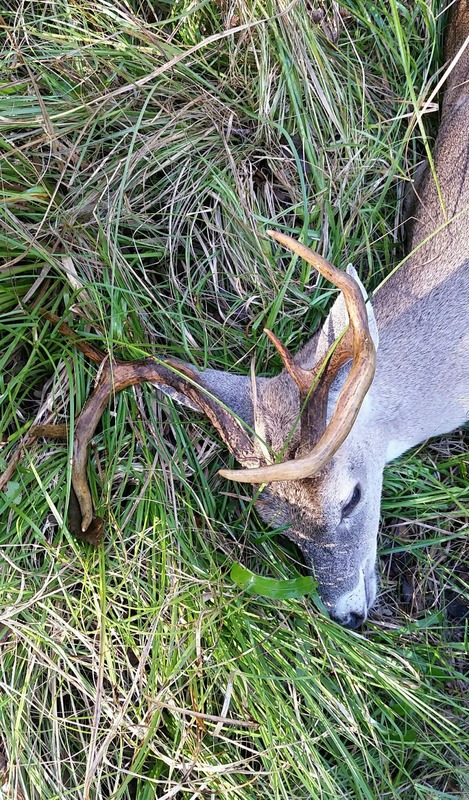 I'm in the woods and kill a "cull" 7 point buck. 99% of the unwanted parts of the animal are left in the woods. Other than the meat, the only other part that comes home with me is the head. Fast forward to Monday morning. We are getting ready and running late because of me! I need to take our daughter to school early for practice. While still getting dressed, I yell out to my daughter to please run the garbage can to the curb. My wife, my ever-present soul mate and love of my life, says she'll take care of the garbage so we can get on the road. Best...wife...ever! I get a text a few minutes later. 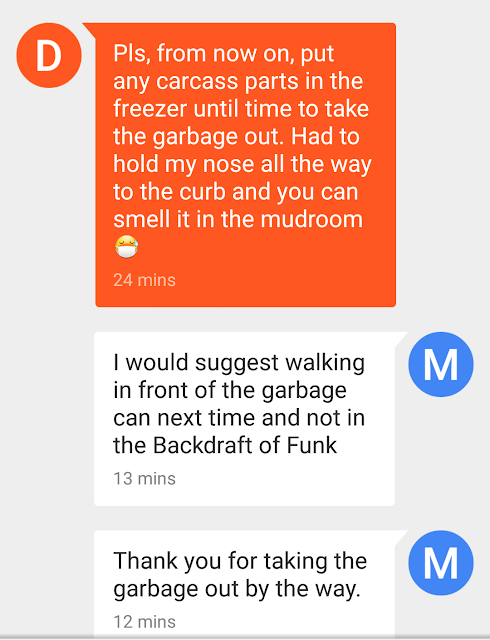 This is the SAME woman who has complained when I left "carcass parts" in the freezer (for months) waiting to remember to put it out on trash day. Some people are just never happy.